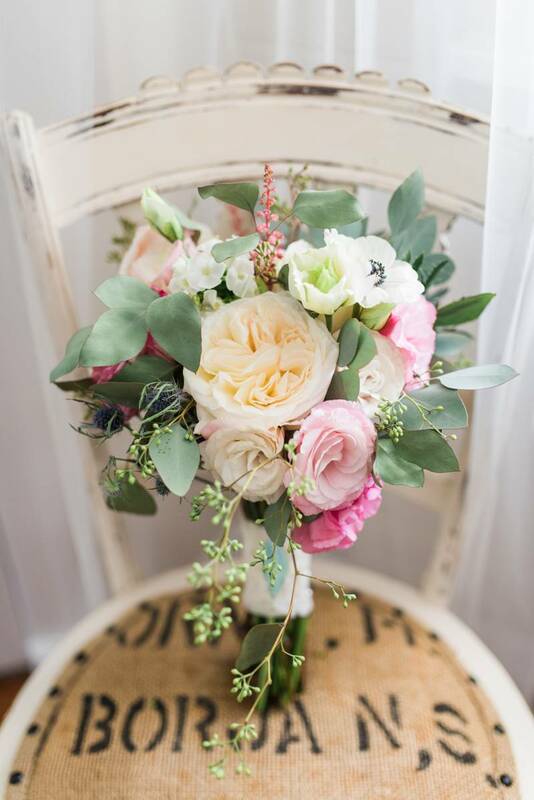 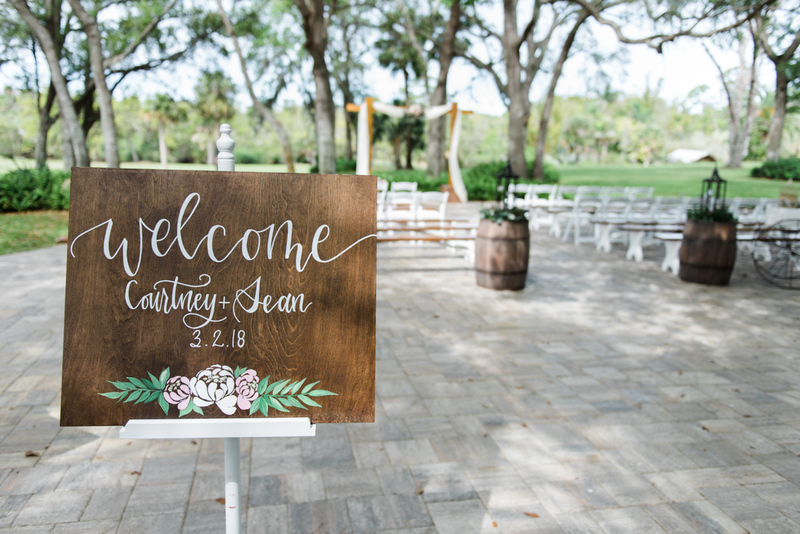 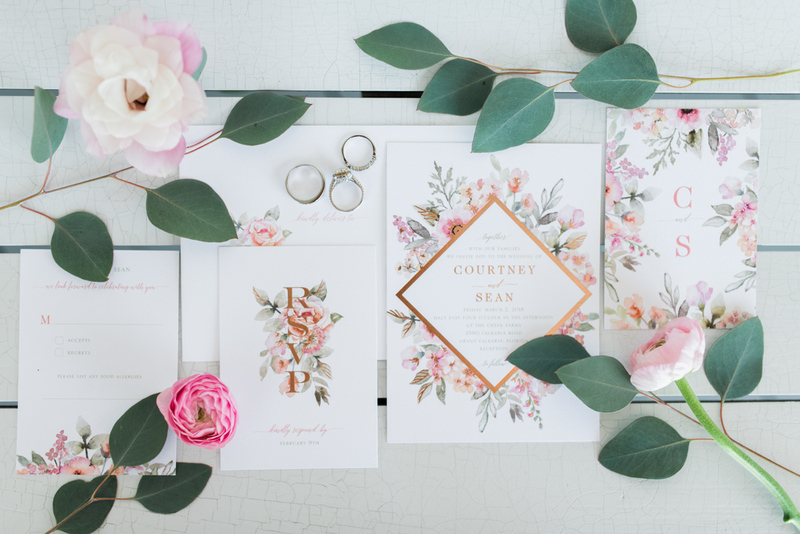 Courtney and Sean's wedding was full of flowers, from floral-printed wedding invites to the painted welcome sign to the wide array of fresh blooms throughout the day. 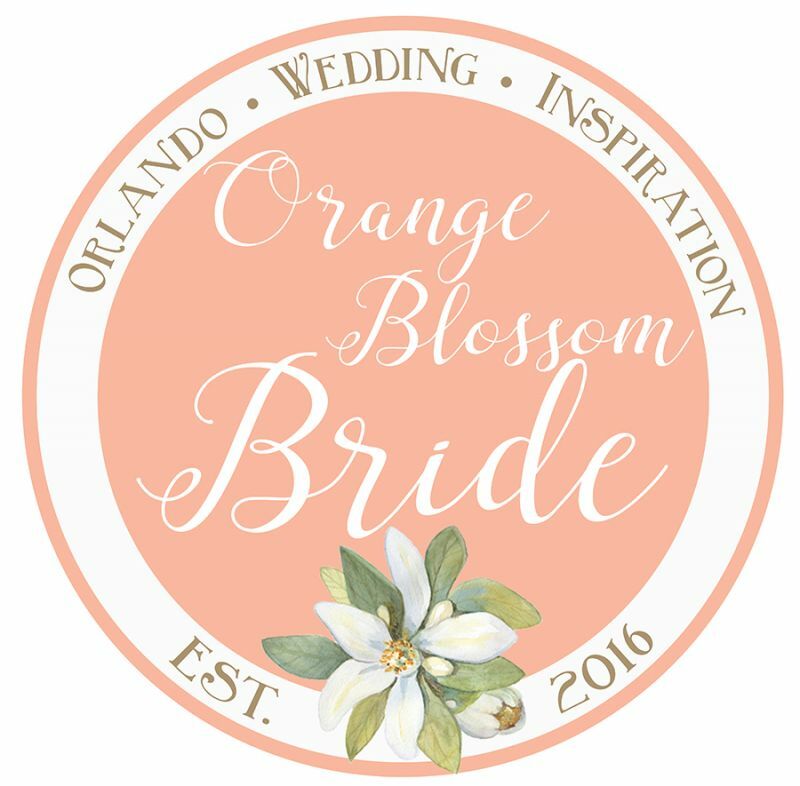 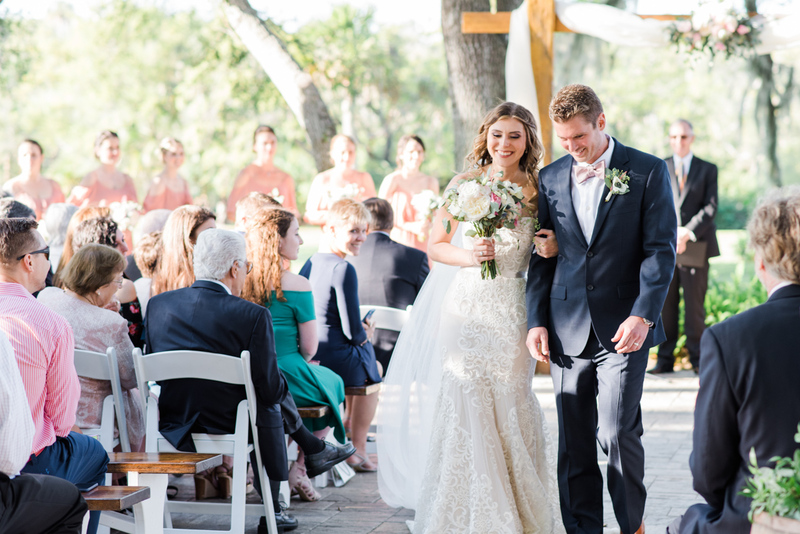 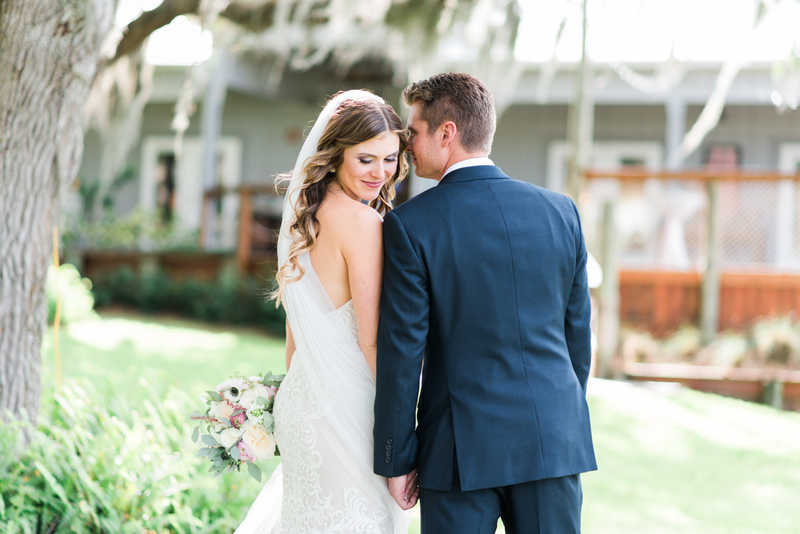 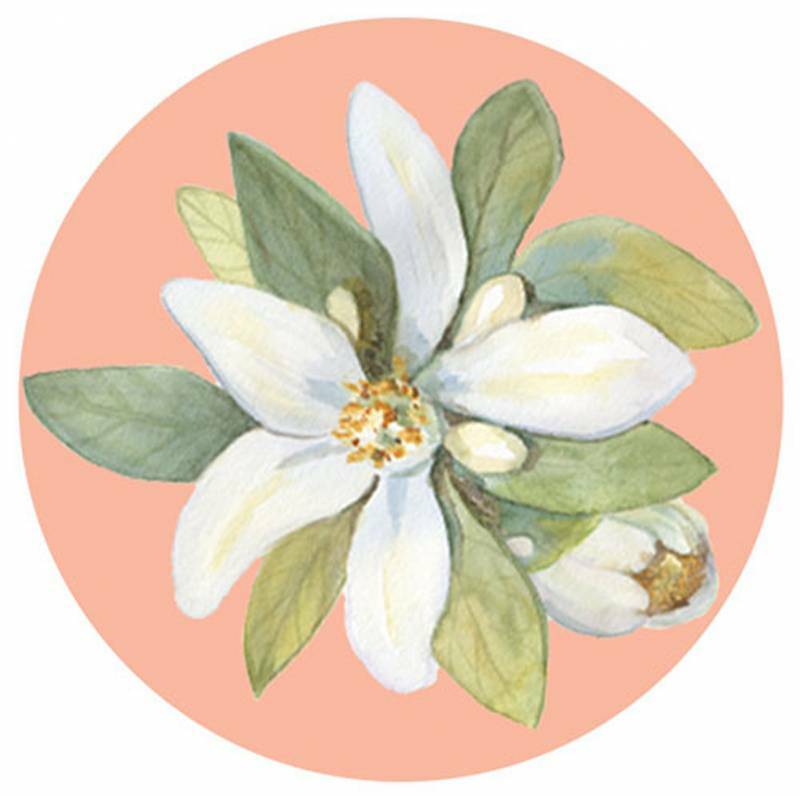 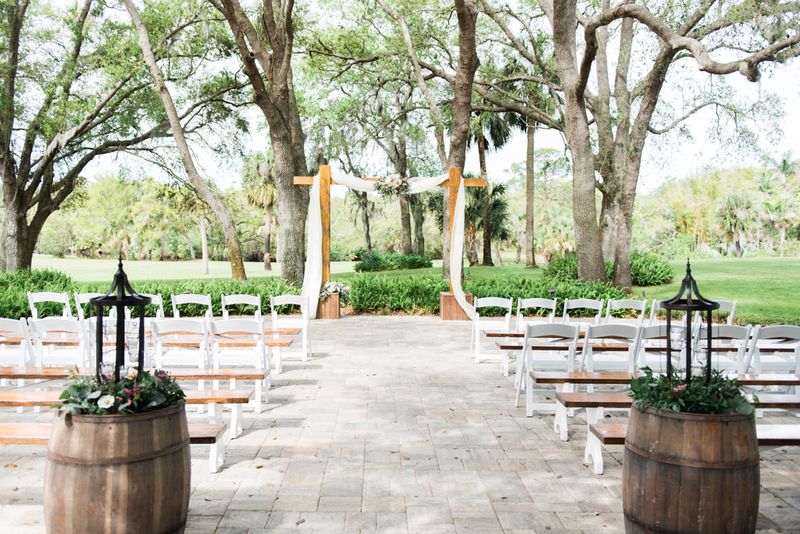 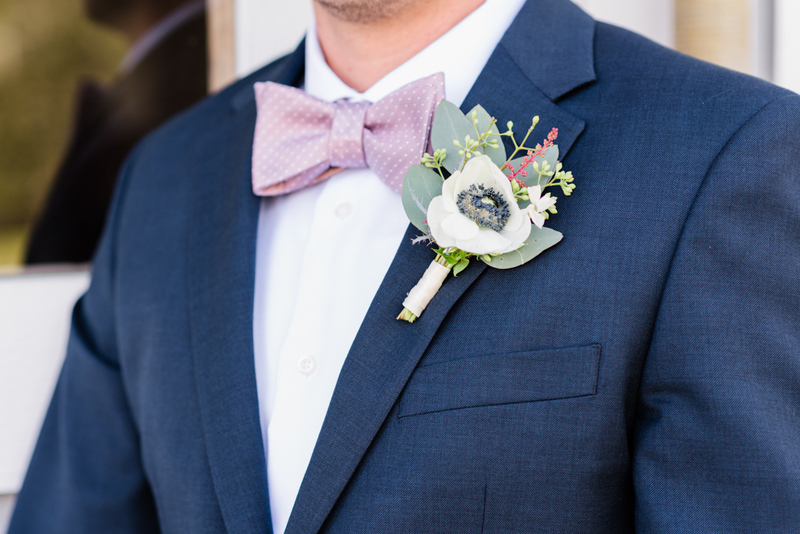 It was a perfect element for their spring wedding! 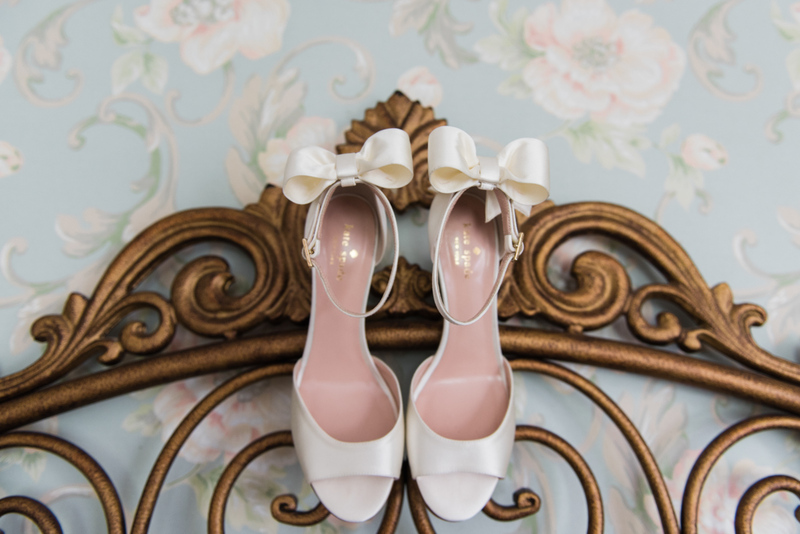 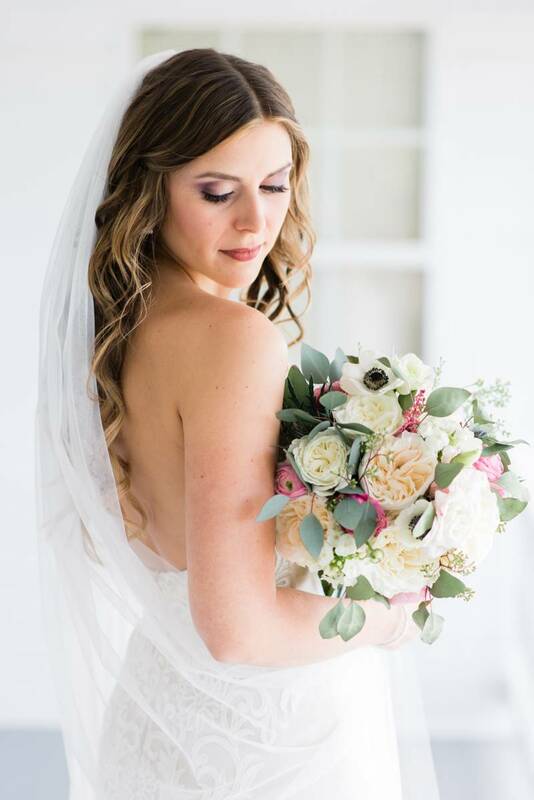 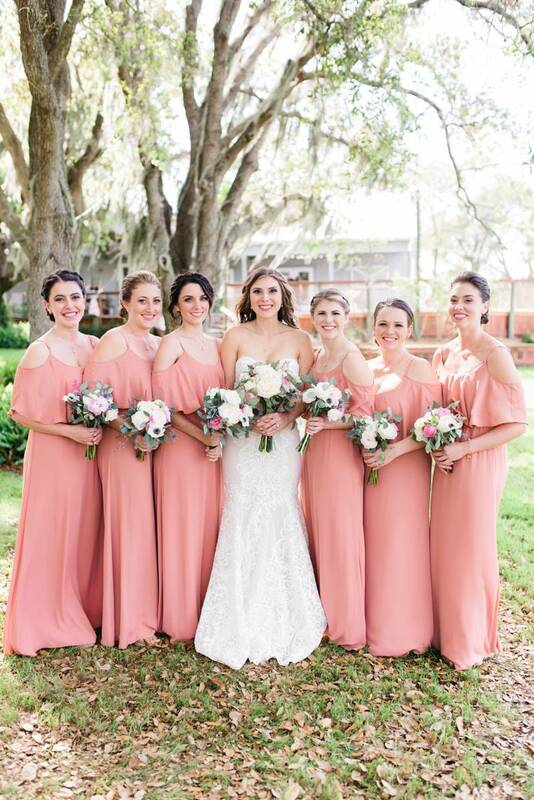 Courtney's wedding day look was flirty and feminine. 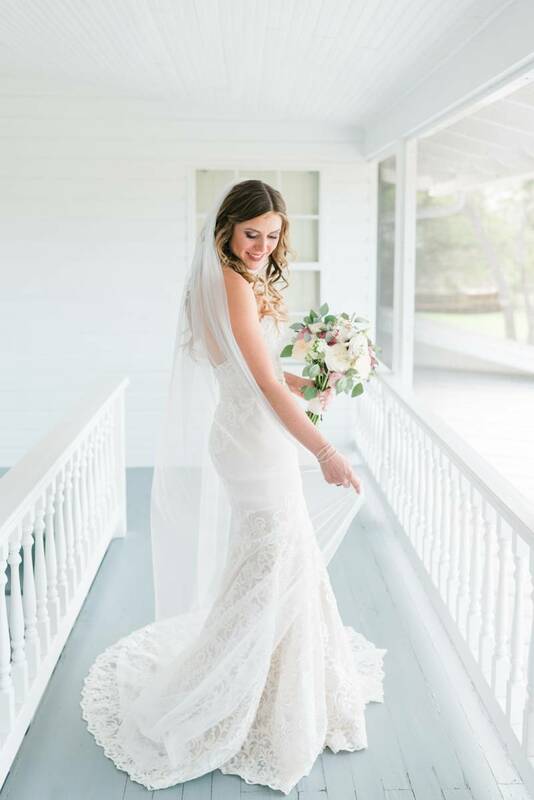 She wore a strapless lace gown with a sweetheart neckline and bows on the backs of her Kate Spade heels. 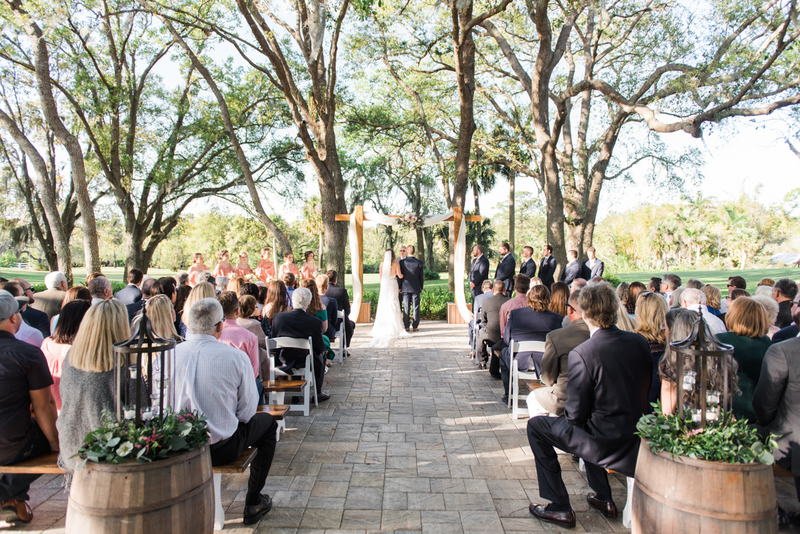 After their ceremony under the trees, the Mr. and Mrs. posed for portraits around Up the Creek's beautiful property. 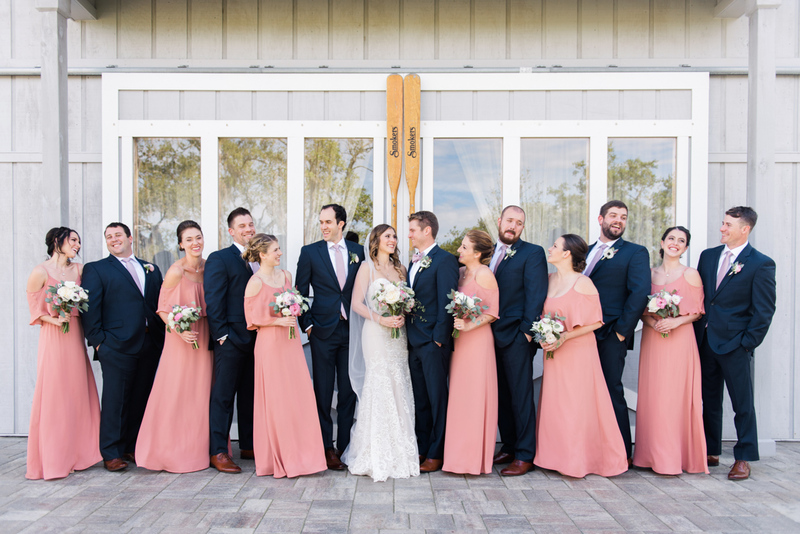 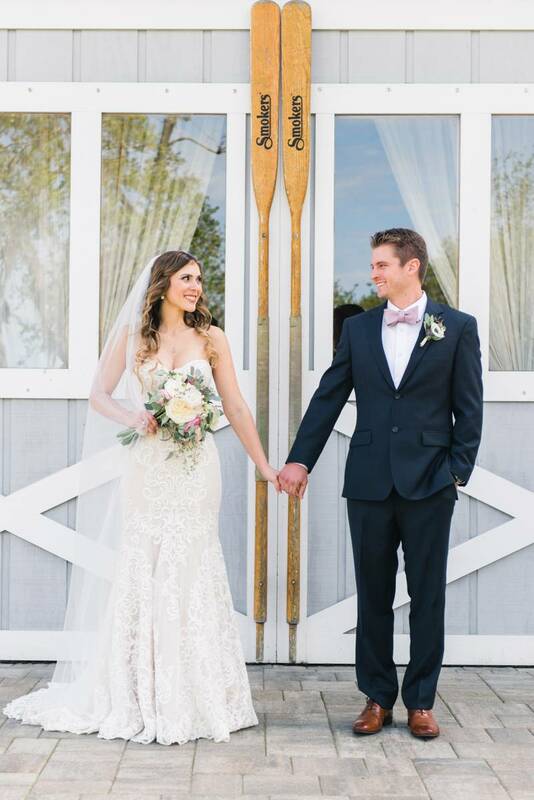 Their reception in the boathouse was colorful with a few rustic touches. 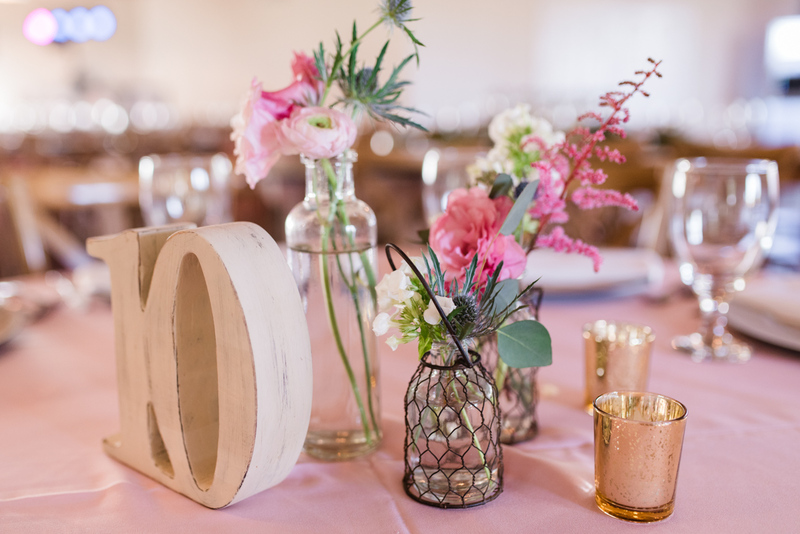 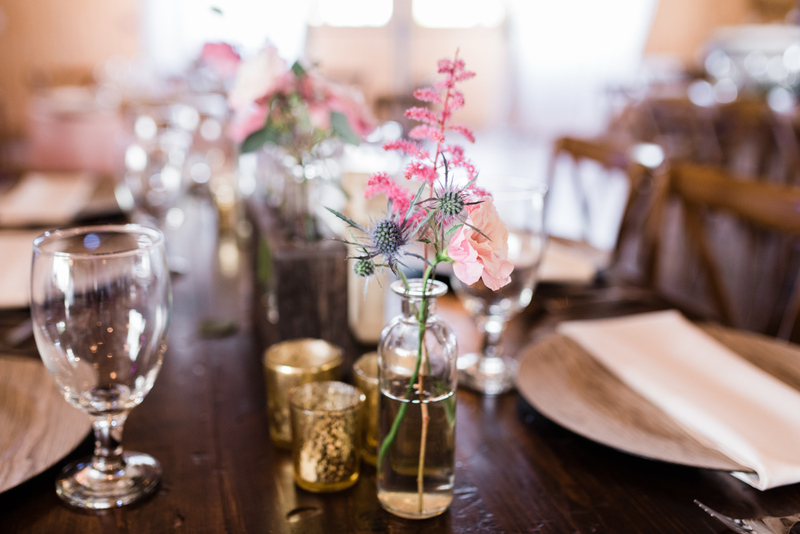 Vibrant flowers in mismatched jars and vases brightened a mix of banquet and long, wooden tables. 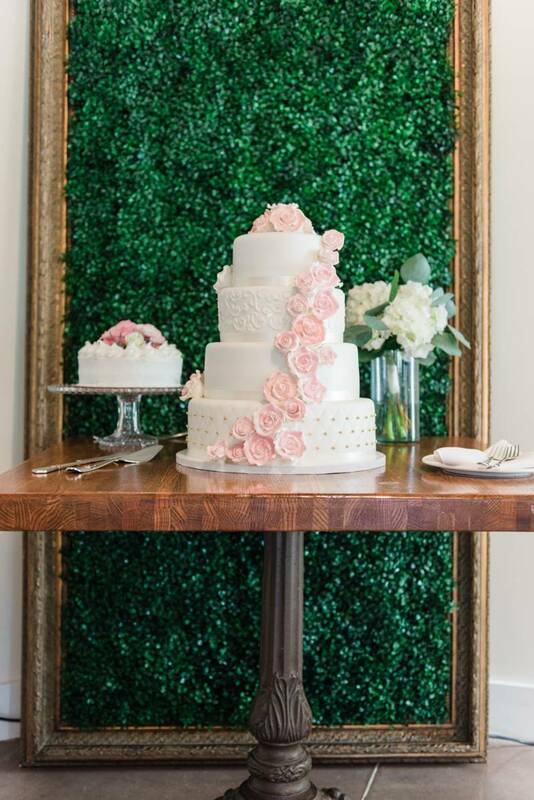 A large white wedding cake decorated with a waterfall of icing roses tempted everyone's sweet tooth. 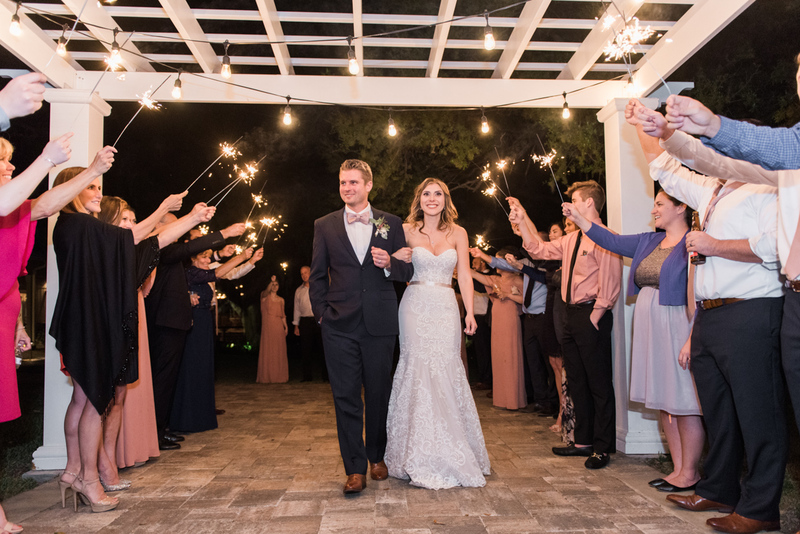 At the end of the night, everyone was back outside under the stars for Courtney and Sean's sparkler exit!